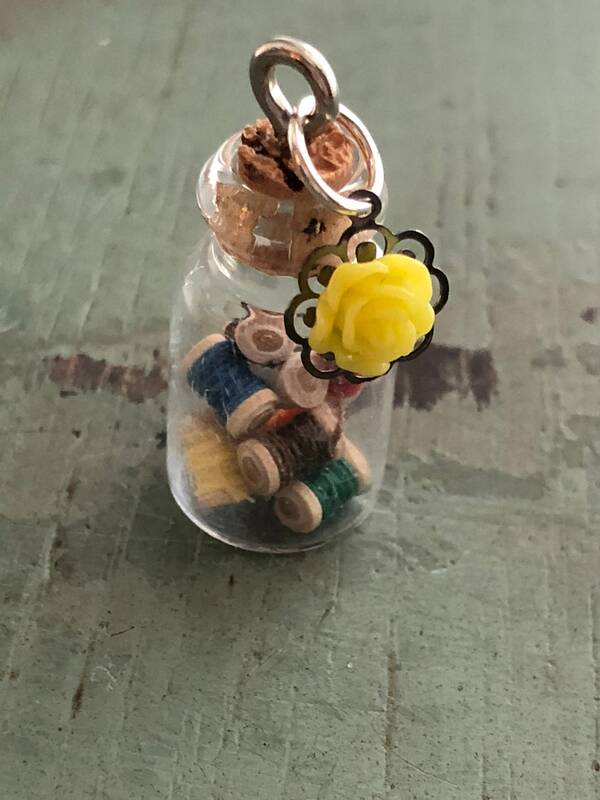 Tiny 1' Glass Cork Top Jar filled with miniature wood thread spools. 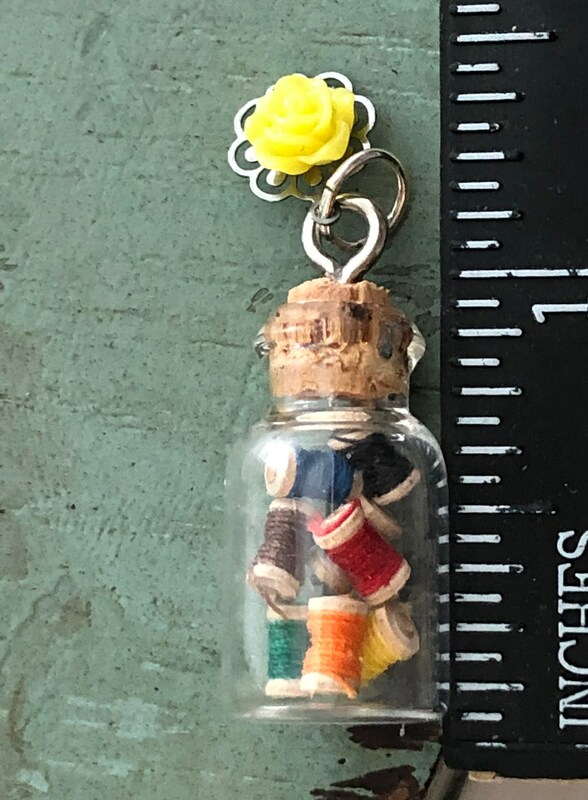 Ready for hanging with tiny rose charm attached to ring. 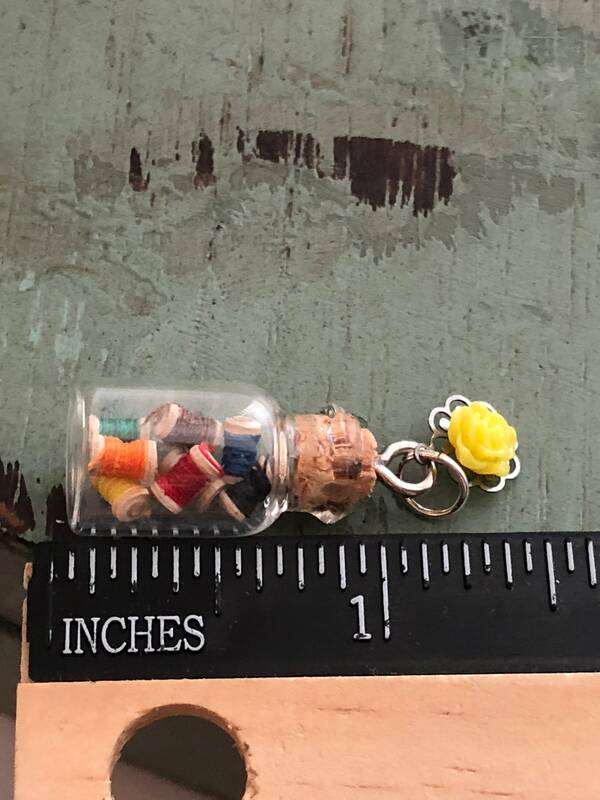 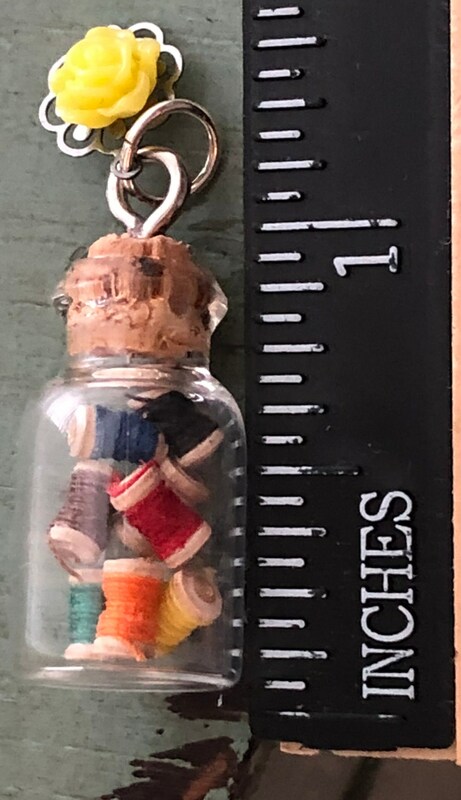 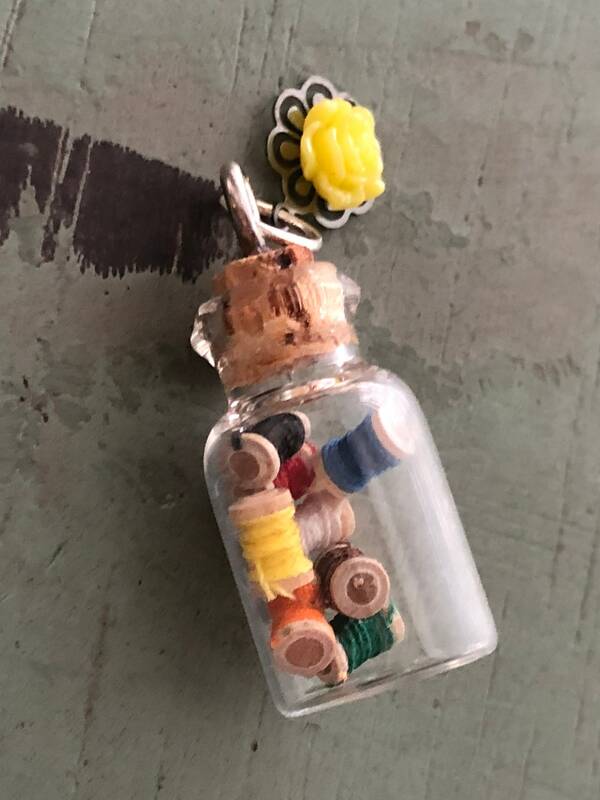 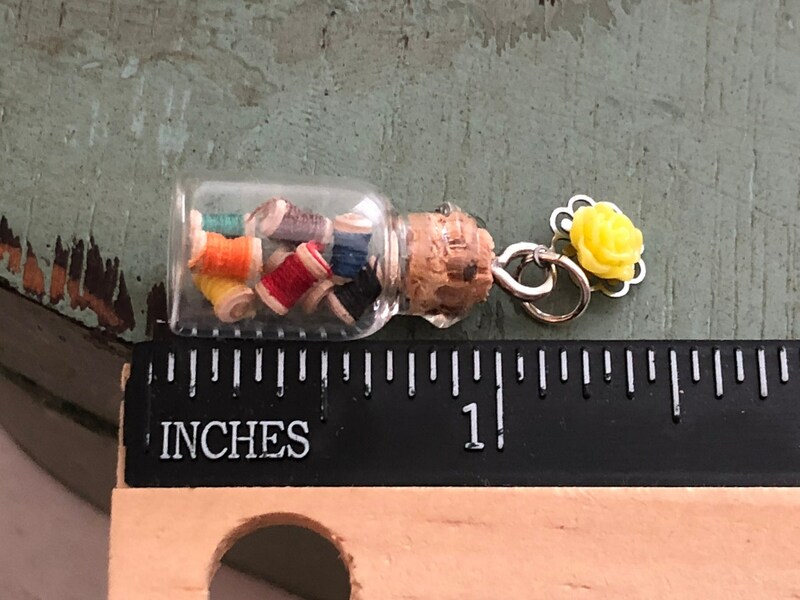 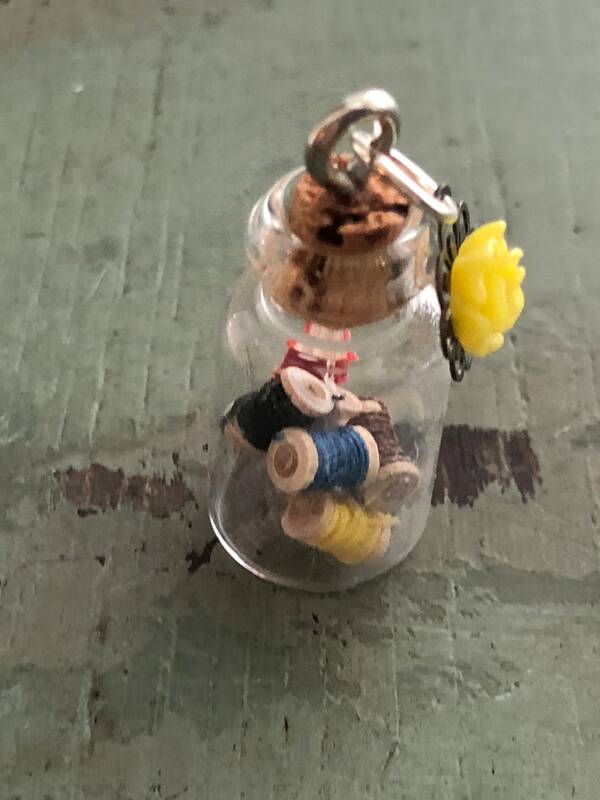 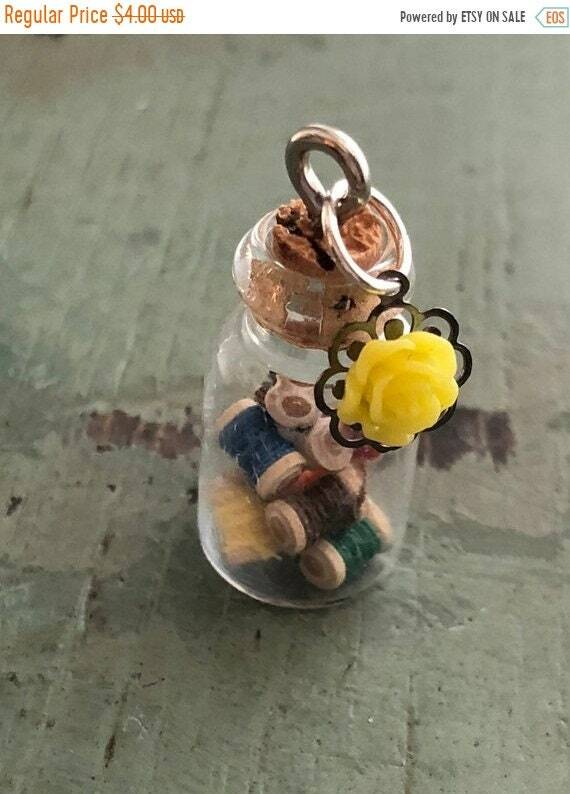 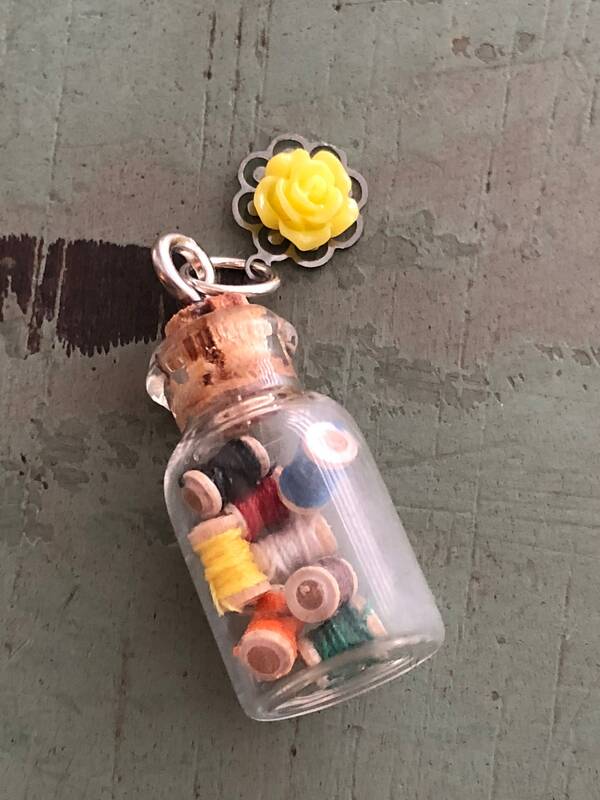 Listing includes: 1 filled jar with rose charm as shown (not intended to be opened, miniature parts and glass, not intended for small children).